This tall steel trough is the ideal solution for providing instant privacy and screening. 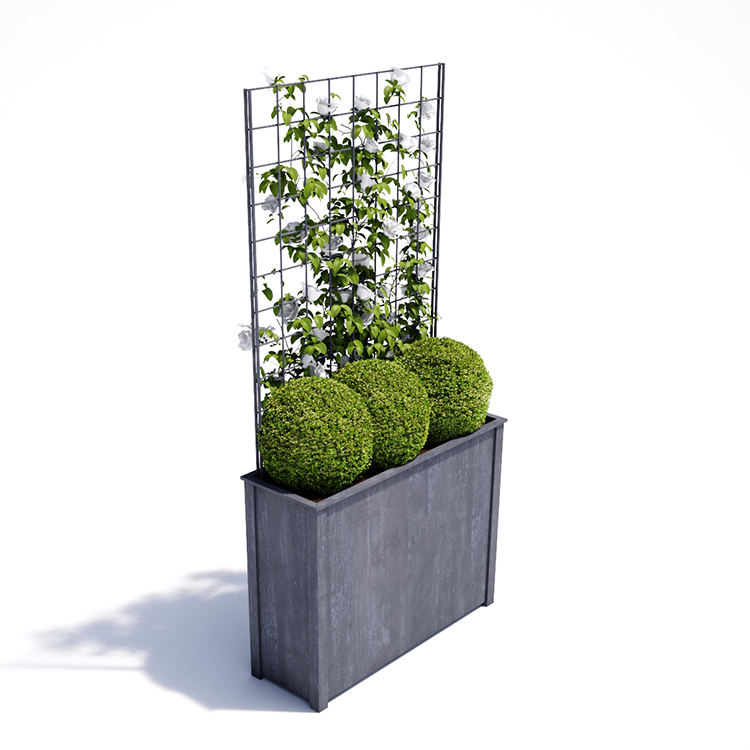 The square trellis panel is fitted inside the planter to provide support for climbers such as the evergreen Trachelospermum Jasminoides, a perfect choice for year round colour. 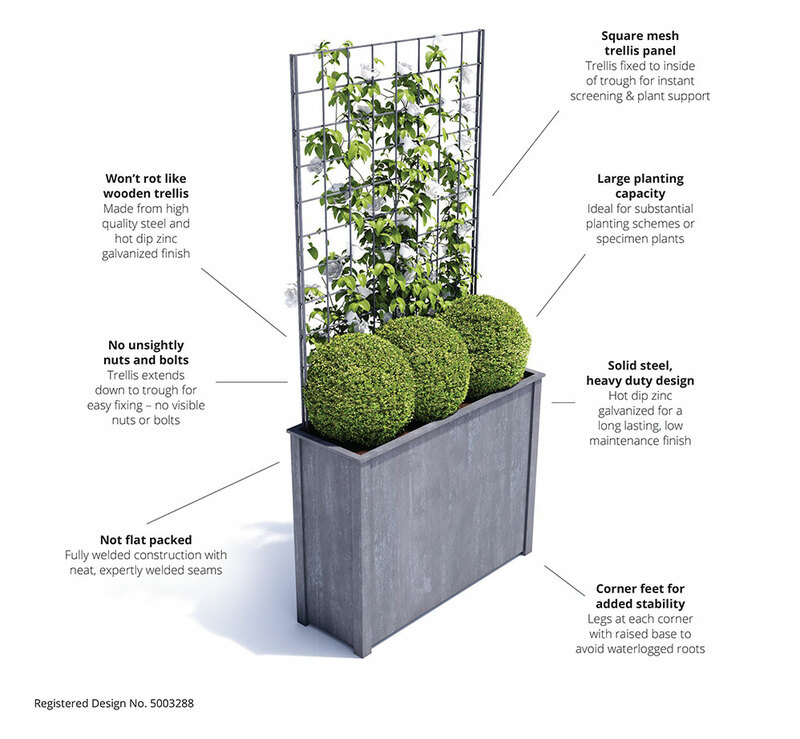 At only 30cms deep, this planter won’t take up valuable patio or garden space.